10 Steps to Create a Facebook Page that Gets "Likes"
10 Steps to Create a Facebook Page that Gets "Likes": Facebook surprised the world in October 2012 by ever recording a billion active monthly users, these came along with over 2.7 billion use of the “like” button per day in 2012. The Platform has over the years become a forum for many business associates who invariably gave testimonies of how Facebook has helped them with their business. Celebrities, musicians, public figures, schools and more are also excited about the love they received on their Facebook page. 1. Choose a nice username. This is the most important aspect of creating a likable Facebook, the username you choose will determine those that are attracted to your Facebook page. The username you choose will be in the URL for your page, since every Facebook page must have its unique name, it is important to search for names that is not common but note that it has to be related to your niche or your reason for creating the account. 2. Give the key details in the About section. Now that you got a name, make sure you input detailed information about the page, its functions, something brief about your organization or business, what you offer and so on in the about section of the page. You should also include your website URL in this section of your page. This makes it easy for other Facebook users to learn more about your page which will also attract them to like it. 3. Capture attention with a fantastic cover photo visual. Putting a right and attractive photo as cover picture is also important, choose a photo which is visually dynamic and that capture people's attention, luring them in to take a closer look at your Page content. You can as well include a marketing message in your cover photo to sensitize more people. 4. Choose an appropriate profile photo. Just like the cover photo, your profile photo should be more attractive because it serves as your avatar which is shown along with the page username to every other Facebook user. The photo used as profile photo should reflect your brand, because the more people see it, the more they'll recognize it and associate it with your brand. 5. Make sure the most important apps are visible. Though it is not compulsory, but in order to have active and continuous likes on your page, it is better to include apps on your Facebook page, it provide more diverse content and experiences to your audience. You can check for the most important apps used by Facebook users and include them, make sure the most important apps are listed first. 6. Ask your Facebook friends to like your Facebook Page. 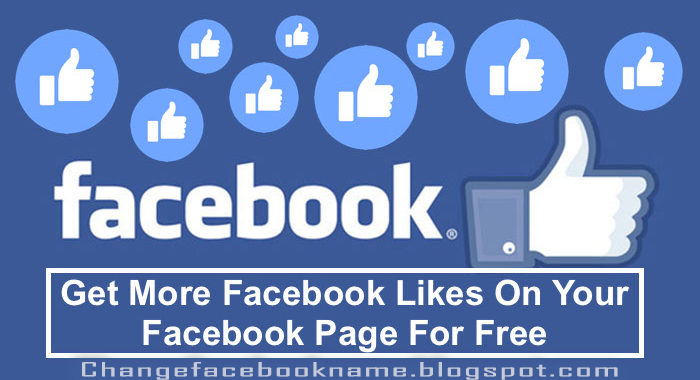 After successfully setting up your Facebook page, invite all your Facebook friends to like your page, this can be done either by inviting them through direct messages, or by posting the your page URL on your posts. 7. Create some content to make your Page look useful. Make sure you start creating useful, meaningful, interesting, or entertaining content that your target audience wants to read and see even before you have any likes. This should includes photos, videos and posts, ensure you tag a number of people on everything posted. 8. Feed your online content to automatically publish on your Facebook Page. It is adviced to connect your Facebook page directly with your other social media. This can be very helpful in situations when you don't have time to publish a lot of content on your Facebook Page, anything posted on other media will automatically be posted on your Facebook page. There are lots of external tools that can be used to set up or connect media, some include; Twitterfeed and RSS Graffiti. 9. Promote your Facebook Page. You can use Facebook social plugins which enables people to like your page directly from your website and blog or to like your website or blog content and share it on their own Facebook profiles with a single click. 10. Offer something extra or exclusive on your Facebook Page. Make sure you add little incentive for people to like your Facebook Page and return to it after their first visit. Irrelevant post can’t help because they already have and view more of them on their newsfeed, try to offer useful, meaningful, interesting, or entertaining content and experiences. You can hold a contest and give away a great prize to one of your Page fans or get ways to acknowledge your fans and reward them for their loyalty. With these, you can have more numbers of like per day. I hope these article was helpful? Kindly share with all your friends so they can increase their chances of getting more likes on their Facebook page.